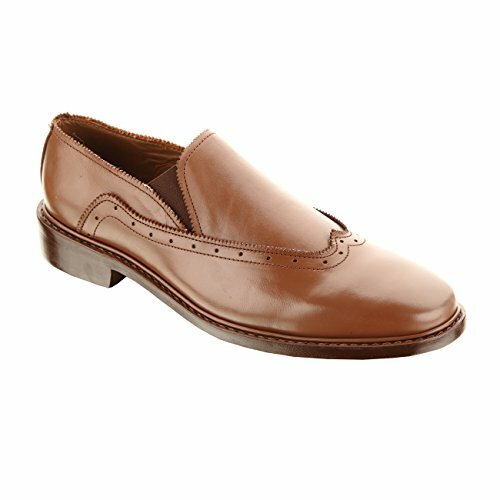 This designer shoe is for men who want an elegant and classic look. Can be paired with casual or formal wear, this shoe will always gives you the style and boosts of confidence. The slip-on design is perfectly made for men who loves freedom and comfort. Made of high quality material that withstands wear any types of weather, this shoe is perfect for every use. With a rich cultural backdrop and the paramount sears tower, the name, Chicago well complements the better quality shoes manufactured by Damen Frost. These can be classy as well as can enhance the coolness quotient when paired with better looking formals or casuals. These comprise of one of the most durable shoes for men added with a better sense of style and higher degrees of comfort. Custom colors are also provided along with the handmade designs.